New Balance is in a tough spot right now. With thousands taking to the street to protest the Trump presidency, especially in the urban and creative communities, a footwear company presumably backing Trump is an easy goal. Footage of users burning their NBs are going viral, equating the New England brand with the real-estate-tycoon-turned-President. Here are 9 reasons why you shouldn’t be among them. 1. 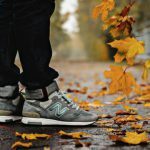 New Balance has only backed Trump on trade issues such as the Trans-Pacific Partnership (TPP) which lowers tariffs for imports from Asian countries – the company didn’t endorse Trump’s other political views or the person. 2. New Balance makes or assembles over 4 million pairs of sneakers in the U.S. annually and is struggling hard to keep it up. 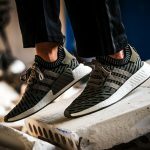 As the only major footwear company to do so, they have a unique perspective on trade issues which other manufacturers like Nike, who produce almost everything in Asia, don’t share – obviously. 3. The topic of domestic production also involves issues such as ethical manufacturing, labor rights and working conditions. Don’t take this the easy way, because these things are complex. 4. New Balance also supported the trade positions of Hillary Clinton and Bernie Sanders. It’s about trade issues, because why else would New Balance be involved in political issues? 5 .New Balance also once made a custom 990 for President Obama. Obviously, the gift carried with it the hope of switching military contracts and making sneakers for the Army. Let them sell shoes – it’s what they do. 6. As a sneaker lover you should now that just like the Made in England NBs, the Made in USA ones are some of the highest quality sneakers out there. We should support New Balance’s efforts to keep these programs up – with or without Trump. 7. New Balance was unfairly struggling with political and image issues before, especially in Germany. In the 1990s, neo-nazis chose the brand for the simple reason that the „N“ on the side could be read to involve every letter of the word „NAZI“. The company tried their best to stay away from this scene as far as possible at all times. 8. Burning shoes? Come on, you can’t be serious. The last time things were symbolically burned was under the Nazi regime during the Holocaust. Don’t make sneakers the new books. 9. Because painting the world black and white is what Donald Trump would do.New Balance is in a tough spot right now. With thousands taking to the street to protest the Trump presidency, especially in the urban and creative communities, a footwear company presumably backing Trump is an easy goal. 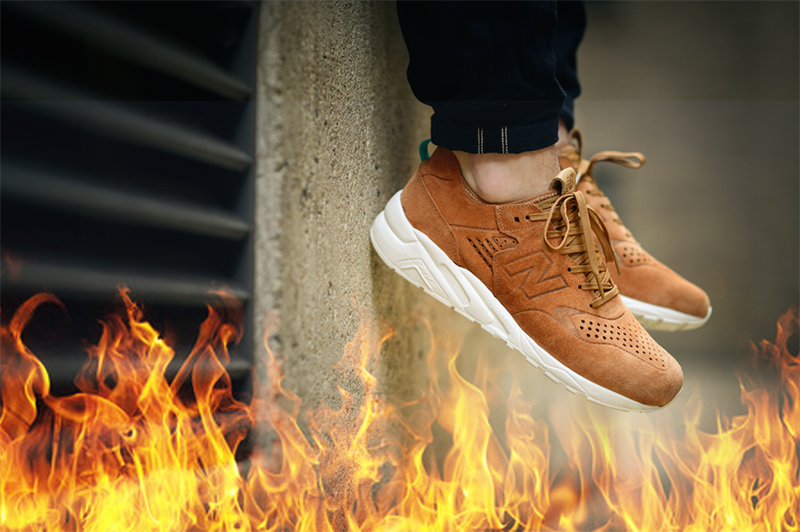 Footage of users burning their NBs are going viral, equating the New England brand with the real-estate-tycoon-turned-President. Here are 9 reasons why you shouldn’t be among them. 5. New Balance also once made a custom 990 for President Obama. Obviously, the gift carried with it the hope of switching military contracts and making sneakers for the Army. Let them sell shoes – it’s what they do. 7. New Balance was unfairly struggling with political and image issues before, especially in Germany. In the 1990s, neo-nazis chose the brand for the simple reason that the „N“ on the side could be read to involve every letter of the word „NAZI“. The company tried its best to stay away from this scene as far as possible at all times. 9. Because painting the world black and white is what Donald Trump would do.